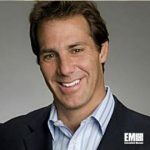 David DeWalt, former CEO of cybersecurity company FireEye, has joined cyber venture capital firm Allegis Capital as a managing director. Allegis said Thursday DeWalt will invest on the company’s behalf in Series C funding rounds and serve as a board adviser of Maryland-based DataTribe, a cyber startup that co-develops cybersecurity, data and analytics. DataTribe and Allegis work together to support startups from seed stage through initial public offering or exit. DeWalt previously worked as CEO of cybersecurity firm McAfee and vice chairman of Delta Airlines. The cybersecurity industry veteran has served on the boards of various cyber companies such as Callsign, ForgeRock, ForeScout Technologies, Phantom Cyber and Five9. Allegis noted it will rename itself “AllegisCyber” in a move to reflect the company’ integrated cybersecurity platform and cyber-related investment efforts. The venture fund aims to continue to fund Series A startups and expand its cyber investments on the East coast, particularly in Maryland.